Bound in red, hand-stitched leather, this journal portrays the scenes of a graceful Fairy and a magical firefly, bordered in an elaborate display of Celtic Knotwork. Explore the rich realm of Fairy Tales like never before, discovering the magical methods and lore that they offer and inspire within Fairy Tale Rituals. 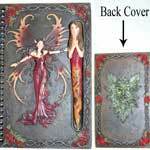 This fairy journal is beautiful decorated with a red gowned twilight fairy with glittering wings on the front cover and a foliate greenman's head on the back. Calling on the inspiration of fairies, unicorn and the ancient wisdom of the Green Man, you can bring renewed vigor and creativity into your drawings, spellwork and journal writings with this wonderful blank book. This beautifully decorated journal depicts a cross-legged twilight fairy on the front cover and a foliate greenman's face on the opposing side. Displaying a delicate fairy upon its cover, the Fairy Note Box contains 250 sheets of paper perfect for taking notes when you're answering the phone or jotting down details about an idea or dream. 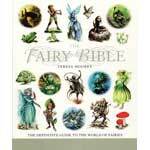 Fairies of the water, air, and earth, the trees and flowers, the house and hearth: all these mysterious, elusive creatures materialize on the pages of this distinctively beautiful guide to fairyland. Prominantly displaying a white-clad fairy sitting within the crescent of the moon, the White Fairy Journal makes for a wonderful place to pen your book of shadows or dream diary. 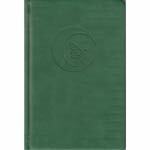 Simple in its beauty, the fairy moon journal features a faux-leather cover that has been dyed a dark, forest green. Made out of handpainted cold-cast resin, this book features a dark-skinned fairy, seated gently against the crescent moon as its front face, with a blooming red rose rising out of the back. ​For the whimsical at heart, the Fairy Moon leather blank book features the hand-tooled image of a fairy, sitting within the crescent of the moon as though it were a great swing. Scottish Herbs and Fairy Lore offers a wonderful collection of faery lore, Scottish traditions, magical exploration, Holidays, and herbal knowledge.